Seizures Autism Fibromyalgia Parkinson's disease Alzheimer's disease Joint pain Inflammation ADD Anxiety Arthritis preventing Osteoporosis CBD helps broken bones heal faster. Why we use Haleigh's Hope CBD oil. Haleigh's Hope (HH) is a high CBD, low THC, organic CBD oil that is Non-GMO 100% organic with no addditives. HH products are lab tested for quality, safety and accurate potency. We are the only clinic selling Haleigh's hope in OK. I trust HH brand we have used his CBD since 2013 when we first saw an episode on the news promoting CBD for relief of seizures. HH was actually produced for a little girl named Haleigh that needed help controling her seizures that modern medicine could not control. I met Jason and his family in CO and know personally he makes a great product. If you have any questions regarding CBD please contact me at 918-836-2225 ask for Annette. 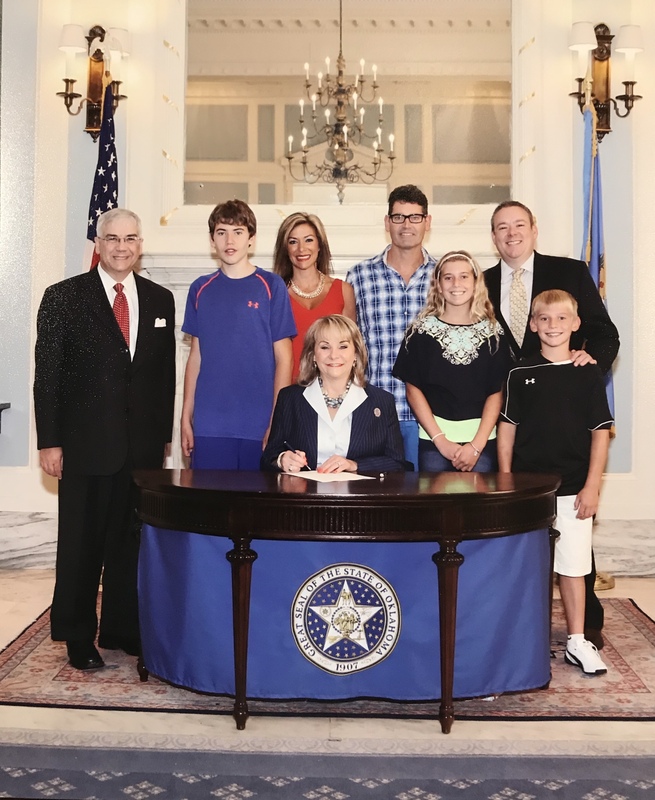 Cayman and his family with Governor Mary Fallin signing Cayman and Katie law in 2015 for the use of CBD oil. 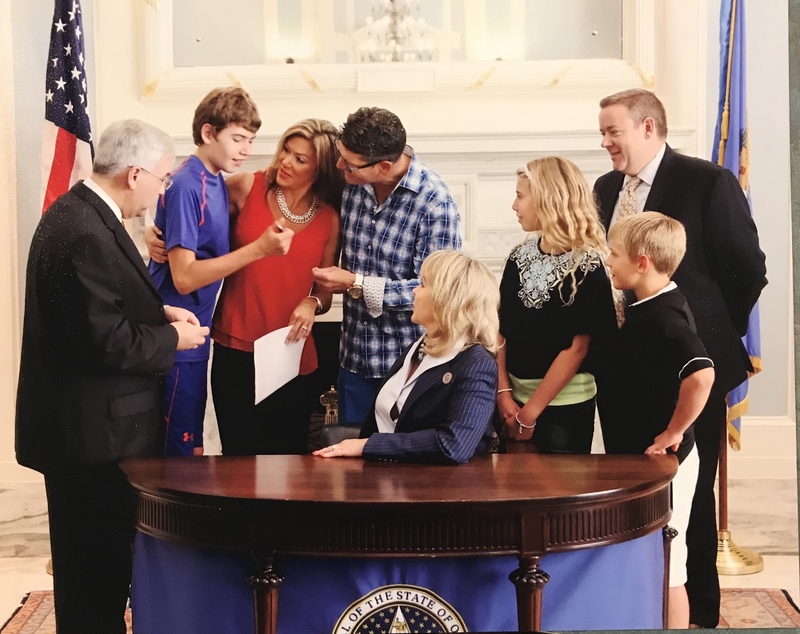 Governor Fallin giving Cayman the pen she signed Katie and Cayman's law with. 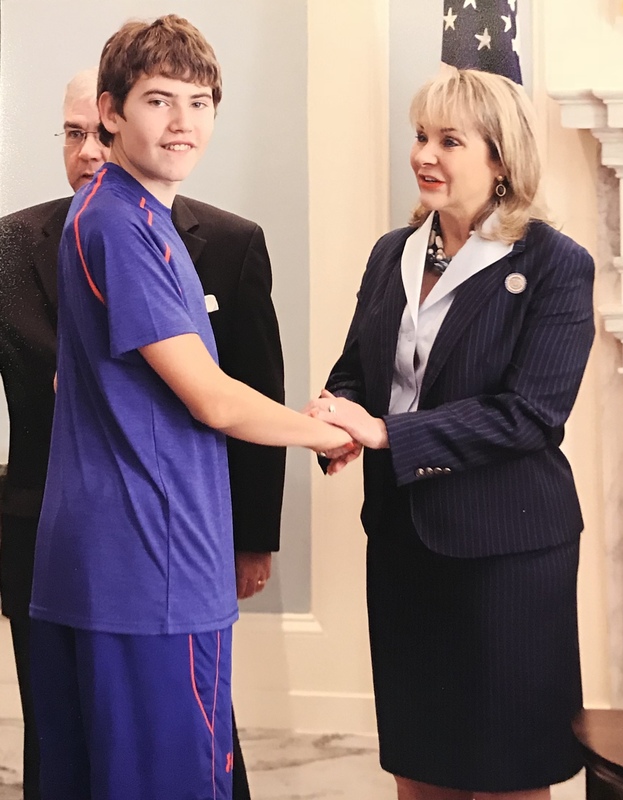 Mary Fallin congratulating Cayman on his CBD law!